With support from the Kavli Foundation, the Vice-Presidents of the American Astronomical Society (AAS) name a special invited lecturer to kick off each semiannual AAS meeting with a presentation on recent research of great importance. At the 232nd AAS meeting in Denver, Colorado, on 4 June 2018, the Kavli Foundation Plenary Lecture, "Exoplanets: Past, Present, and Future," will be given by Debra Fischer (Yale University), a world leader in the search for and characterization of exoplanets, especially Earth-like planets in the habitable zones around their host stars. Fischer has spent more than two decades developing techniques and technologies to detect exoplanets via the radial (line-of-sight) velocities they induce in their host stars by tugging on them gravitationally, then to characterize those planets in unprecedented detail. In 1999 she discovered the first known multiple-planet system using the radial-velocity technique. Her 2014 paper in the Astrophysical Journal Supplement Series, "The Twenty-Five Year Lick Planet Search," gives a broad and detailed perspective on that long-term team effort, which helped open the floodgates to exoplanet research. Her subsequent 2016 paper in Publications of the Astronomical Society of the Pacific, "State of the Field: Extreme Precision Radial Velocities," represents a huge effort that brought together the international radial-velocity community. She has led the design and construction of fiber-fed radial-velocity spectrographs with the stability and precision required to detect stellar velocities of 1 meter per second — about walking speed, corresponding to the “wobbles” of low-mass stars orbited by Earth-like planets. Her new Extreme Precision Spectrometer (EXPRES), now beginning operation at Lowell Observatory's 4.3-meter Discovery Channel Telescope in Arizona, uses a novel technique to distinguish signals due to surface features of the host star from signals due to exoplanet-induced velocities at precisions better than 100 centimeters per second. Fischer has served on several strategic planning committees. She is now a community co-chair to study a hoped-for future NASA flagship space telescope called the Large Ultraviolet/Optical/Infrared Surveyor (LUVOIR). Fischer is author or co-author of nearly 300 refereed papers, collectively totaling almost 23,000 citations. 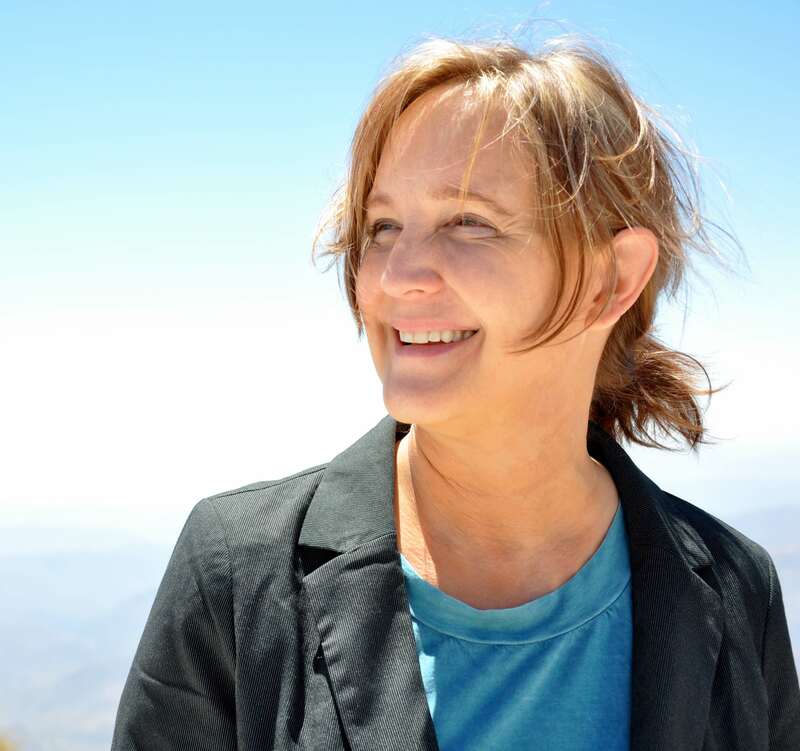 Among the many science projects she leads or co-leads are 100 Earths, which aims to detect 100 Earth-like planets around low-mass stars in the solar neighborhood, and Planet Hunters, which engages citizen scientists around the world to sift through NASA Kepler data searching for transits of planets in front of their host stars. She also co-founded the Exoplanet Orbit Database. Fischer earned her BS in 1975 from the University of Iowa. After spending several years away from science, she returned and earned her MA in physics from San Francisco State University in 1992 and her PhD in 1998 from UC Santa Cruz. She was elected to the American Academy of Arts & Sciences in 2012. The AAS is delighted to honor Prof. Debra Fischer with the June 2018 Kavli Foundation Plenary Lectureship. Astronomer Debra Fischer of Yale University will give the Kavli Foundation Plenary Lecture, "Exoplanets: Past, Present, and Future," at the 232nd meeting of the American Astronomical Society in Denver, Colorado, on 4 June 2018. The AAS, established in 1899, is the major organization of professional astronomers in North America. The membership (approx. 8,000) also includes physicists, mathematicians, geologists, engineers, and others whose research interests lie within the broad spectrum of subjects now comprising contemporary astronomy. The mission of the American Astronomical Society is to enhance and share humanity's scientific understanding of the universe, which it achieves through publishing, meeting organization, education and outreach, and training and professional development.